YouTube Space London opened its doors to creators. Since then, tons of creators have come to the space to learn from industry experts, share ideas with each other and create amazing videos. We are now welcoming non-profit organizations as well. If your non-profit is part of the YouTube Charities program in the UK, you're welcome to use the YouTube Space with all its equipment and professional facilities, whether it’s the recording studio, the sound stage, or our editing equipment. Whether you are looking for the equipment to edit your video report or you want to give an update on the status of a particular campaign to your supporters, the YouTube Space could be the place for you. To book a spot, please fill in this form in advance. If you are not yet part of the YouTube Charities program, you can review the requirements and apply here. We look forward to welcoming you to the YouTube Space London soon! 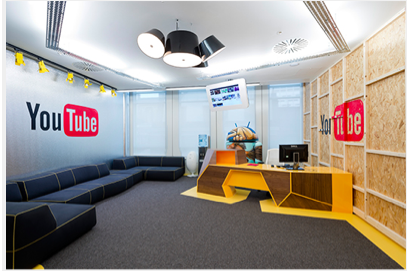 A few months ago, YouTube Space London opened its doors to creators. Since then, tons of creators have come to the space to learn from industry experts, share ideas with each other and create amazing videos. Hi Anna, is something similar available in New York? im not a youtube partner how can i use the creator space? do i have to pay or somthing?